Dance is a hugely popular pastime, which is reflected in the number of classes available in the Festival. 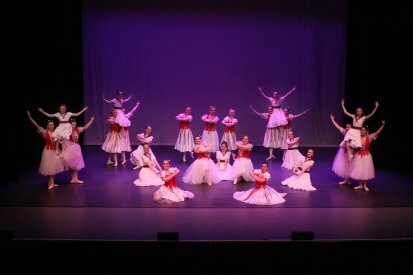 There are so many opportunities at all ages and stages, from under 5’s to adult, from Classical Ballet to Modern and Tap, as Solos, Duets or Groups. The Bronze, Silver and Gold Medals are always hotly contested, and offer a wonderful showcase for the best of the best. The age of the eldest performer determines the correct age. Performers may dance only ONCE in each class. Classical Classes. Up to 3 groups per school are allowed. Please note that All England rules restrict numbers of dancers to 24 per group. The same dancers can dance in up to 2 groups per class. As a change from 2017, we are returning to groups being entered under the name of the school rather than the group's title. The title will be given by the Platform Steward. THE ENTRY FEE FOR ALL DANCING GROUPS IS £1 PER HEAD WITH A MINIMUM OF £25. Dialogue to be limited. Own choice: To include singing, dancing and some dialogue. No backing vocals are allowed. Hand props only, no large scenery allowed. No performer may take part in more than one group performance in this class. Entrants for this class will have qualified by obtaining 1st, 2nd or 3rd place in either ballet or character in classes 1050, 1051,1060, 1061, 1070 or 1071. If nominated, please report to the General Secretary immediately at the Festival Office to pay the entry fee shown in the syllabus. Eligible entrants will not be allowed to dance if the fee is not paid. Eligible entrants must have danced in both ballet and character classes and must repeat the same dance in this medal class. A Mark of 87 is required for the award of the Silver Medal. Entrants for this class will have qualified by obtaining 1st, 2nd or 3rd place in classes 1080, 1081, 1090, 1091, 1100 or 1101. If nominated, please report to the General Secretary immediately to pay the entry fee shown in the syllabus. Eligible entrants will not be allowed to dance if the fee is not paid. Award: Dancing Teachers Trophy (Presented by Local Area Dancing Teachers); A prize of £150 Sponsored by Hastings Round Table. Gold Medal awarded if a mark of 90 is achieved. Trophy awarded if a mark of 87 is achieved. For girls:- pirouettes en pointe, a percentage of batterie and sustained releve on one leg. For boys:- double tour en l'air, batterie and pirouettes. 5, 6 or 7 dancers. These classes are not eligible for entry to All England Dance. The age of the eldest performer determines the correct age group. Jennifer trained in London from the age of five, with Tory Morgan, Maude Wells and Letty Littlewood, three inspiring teachers. She competed in many dance festivals in London and the South East, and, as a teacher, entered pupils in local festivals. She has been a Federation and All England Adjudicator for nearly thirty years. She worked for over twenty years in the professional theatre, first as a dancer, then singer, actress, director and latterly as a producer. With her husband, musician Phillip Charles, they presented troupes of girls called THE JENNY SET. Phillip and Jennifer, as CHARLES HALEY PRODUCTIONS, presented Pantomimes, Summer Seasons, Tours, Plays and Musicals in London and all over the country. She has also worked in Variety with her own act of Song, Dance and Comedy. Jennifer also had her own stage school for twenty years until 2004, teaching all genres of Dance, Singing and Drama and many of her pupils have gone on to work in the professional theatre. She was awarded the PGCA Dance Adjudication degree in 2000, and is a Life Member of the RAD. Her two sons, Noel and Leon, are both Musicians and Performers. No point work is permitted for competitors under 13 years. Character: May be danced in any manner the subject demands and the technique must be appropriate to the character. Classical work only. National: Must be authentic and belong to a recognised country. Contemporary: Technically, work may reference recognised Contemporary technique and have a strong classical base. Work should show a reference to principles of contraction and release, fall and rebound, use of breath and gravity and successive or initiated movement. 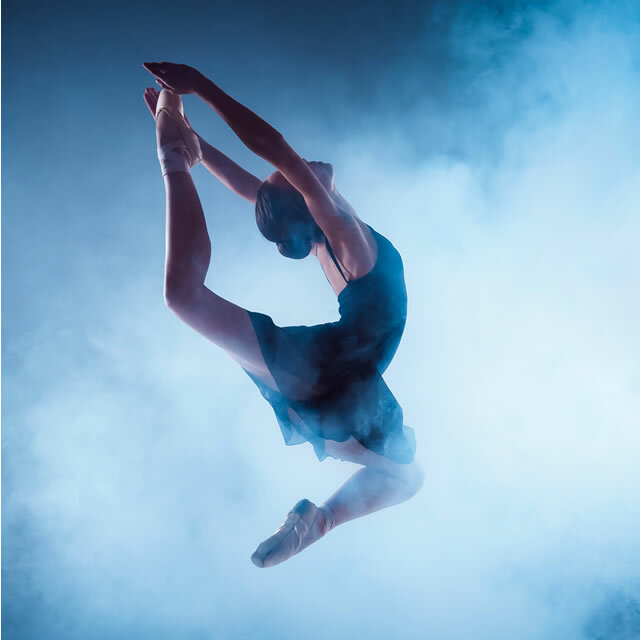 Only those dancers aged 13 and over can enter Contemporary solos, duets, trios and quartets. In these classes, the Ballet and Character items must be those danced in the qualifying classes. The age qualifications have changed for the Bronze Medal to 9, 10 and 11. The age qualifications have changed in the Silver Medal to 12, 13 and 14. Gold Medal: This is not a qualifying class. A prize of £150 will be awarded to the winner if a mark of 87 or above has been awarded. A mark of 90 is required for the award of the Gold Medal. Compulsory steps are required in the Gold Medal performance. 3. The age of the eldest competitor in duets, trios, quartets and groups determines the correct age group. AGE IS TAKEN FROM 1ST SEPTEMBER OF THE YEAR PRIOR TO THE FESTIVAL YEAR. Only props which can be easily carried and quickly set in place by performers or helpers are allowed. Construction of scenery or props on the side of the stage is prohibited, as are real flowers, and leaves, confetti or talcum powder or similar. Props should not exceed 10 kgs in weight and should be fully integrated into the performance. They should be flame resistant. Entries in all classes which exceed the time limit will be penalised by the subtraction of marks. Time will be checked from the first note or word of the accompaniment, or the first movement of the dancer, whichever comes first, until the dancer's last movement at the completion of the dance. No re-dance is allowed at 10 years or over. At under 10 years, a re-dance will only be allowed at the discretion of the adjudicator. No singing is allowed except in the Song and Dance and Cabaret classes. All chaperones must be over 18 years of age and must wear their badges at all times. CHILDREN MUST BE ACCOMPANIED BY A CHAPERONE AT ALL TIMES IN THE AUDITORIUM, DRESSING ROOMS AND AT THE SIDE OF THE STAGE, AND WHEN PASSING INTO THE FOYER OF THE THEATRE. Footwear must be worn in all ares of the theatre at all times. Extreme care should be taken backstage and whenever possible, feet should be covered to avoid accidents. The theatre reminds you that changing, applying makeup etc is not allowed in the front of house, toilets, auditorium and restaurant. MOVEMENT BEHIND THE BACK CURTAIN IS NOT ALLOWED DURING A PERFORMANCE. The Dancing Secretary will be present at the side of the stage at all times to ensure that dancers and chaperones are respectful to those performing. The numbers of those who have danced or waiting to dance will be restricted to avoid noise and overcrowding. Should classes be over or undersubscribed, then the Dancing Secretary may choose to divide or combine classes. 13. The Adjudicator for 2019 is Jennifer Haley. Provisional dates are Sunday 3rd March to Tuesday 12th March 2019. PLEASE NOTE: For the Dance Section, after 31st December 2018 late entries will only be accepted if there is time in the scheduling, even if a double fee is paid. Should the entries be high, the Dancing Secretary may choose to close entries before this date. All performers using music from shows in current production are subject to copyright law. Songs from shows in current production may be sung as a concert item (i.e. no costume or movement) without need for copyright permission. The Festival Committee accepts entries on the basis that appropriate copyright permission has been sought by the performer or teacher. There will be no microphones in use for Song and Dance, Cabaret or Tap classes.